In a hurry to find food nearby? 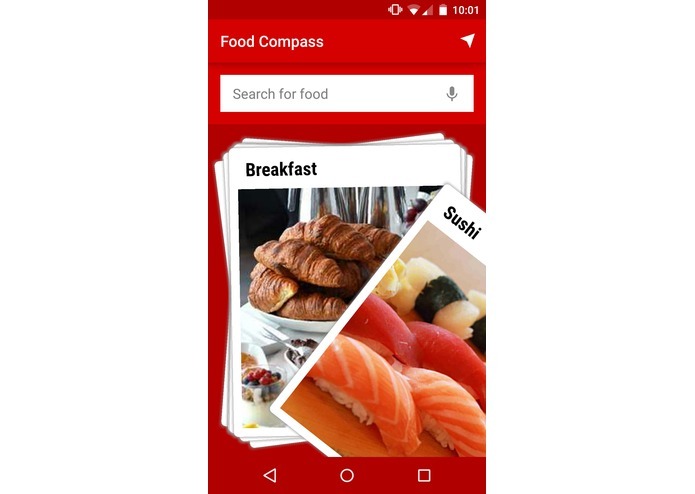 Let Food Compass show you the way! In a hurry to find food nearby? 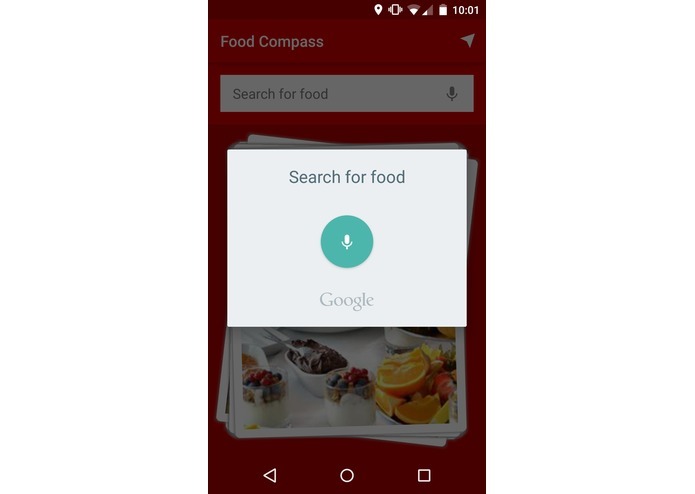 Let Food Compass show you the way! In the mood for Pizza? Mediterranean? 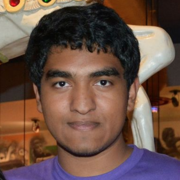 Thai? 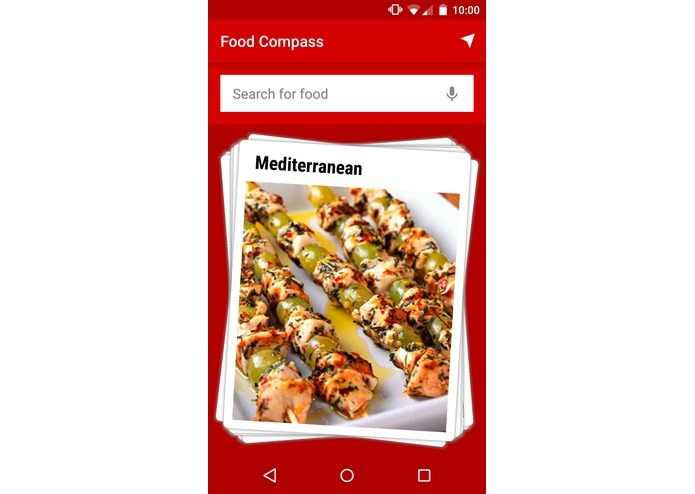 Whatever you're the mood for, Food Compass can point the way there. All you have to do is follow! 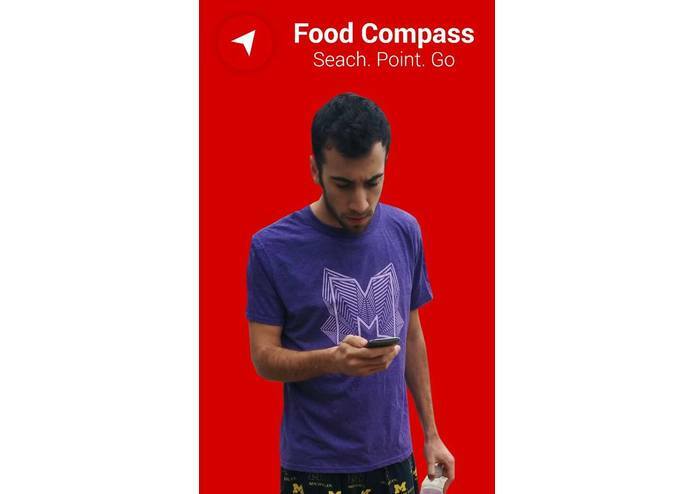 The idea came when we realized Google Maps is often slow and inaccurate around college campuses – leaving you hungry and stranded. 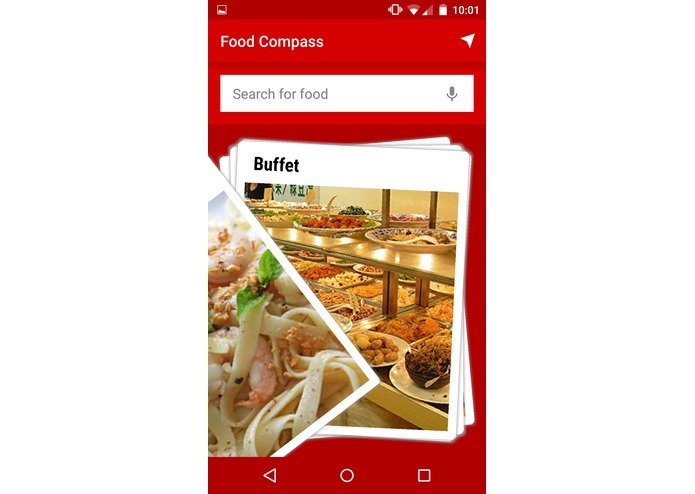 This is where Food Compass comes in. 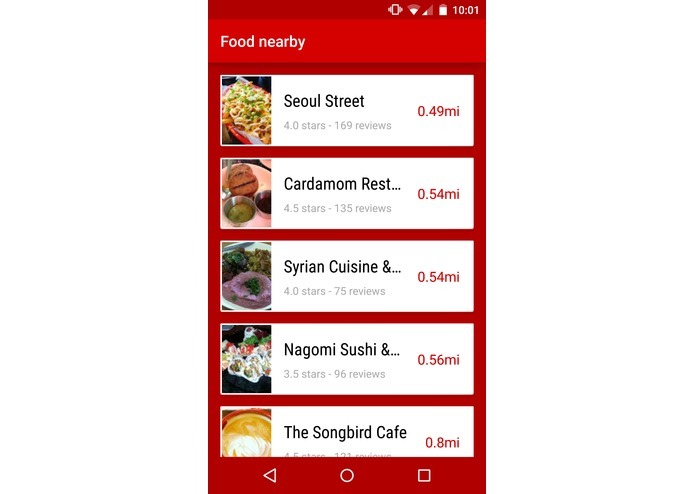 With data aggregated through the Yelp API, we are able to pinpoint your location and point you to a restaurant of your choice nearby. 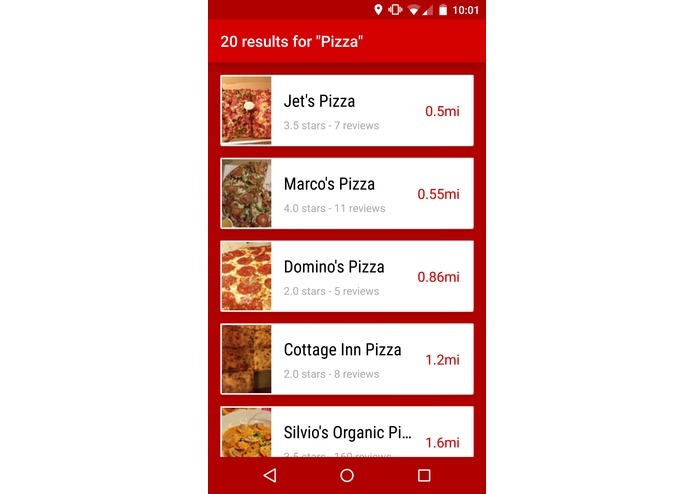 View restaurant ratings, pictures, and distance right from the app. 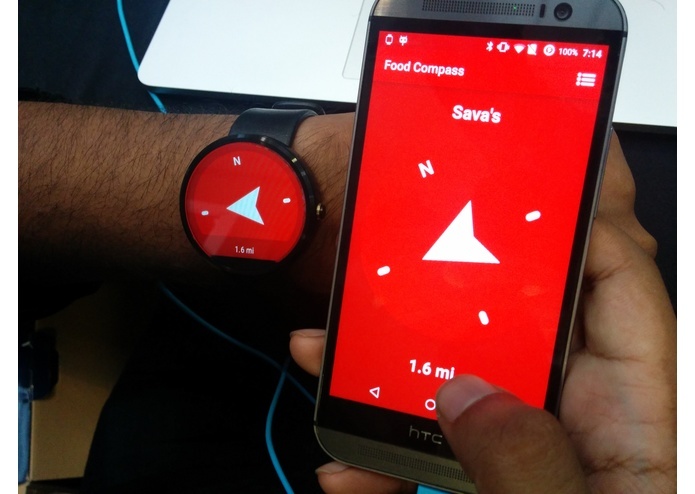 Using Food Compass is easier than navigating Maps. Simply open the app, and with little more than two taps, you'll be on your way. 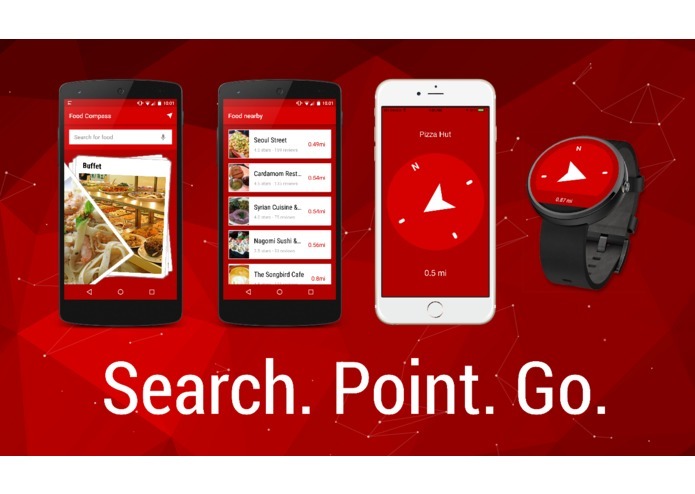 Specify (through voice, search box, or Tinder-like interface) what you're in the mood for (ex: Chipotle, Cheesecake Factory, pizza, sushi, etc), select from a list of nearby restaurants, and follow the arrow. The app reports the remaining distance as you near your destination. With Android Wear support, we're making it even more convenient to get around. Put your phone away, and let your watch guide you to your destination. Search. Point. 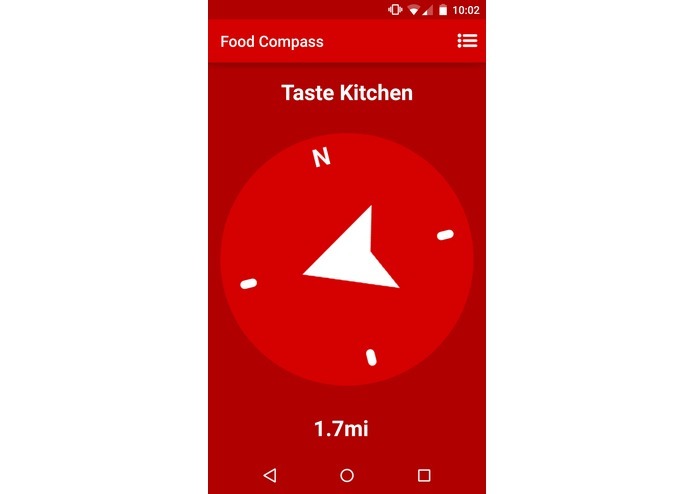 Go - Food Compass.